Forms an instant, extra-strong bond on wood, metal, ceramics, pottery, rubber, vinyl, leather, and plastic. Brush applicator provides excellent surface coverage that's easy to control on large surfaces and in hard-to-reach areas. Note: A minimum quantity of 384 must be ordered, and in units of 48 thereafter. 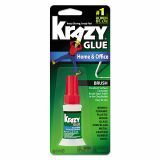 Krazy Glue All Purpose Brush-On Krazy Glue, 5 g, Clear - Krazy Glue features a brush-on applicator for excellent surface coverage and hard-to-reach places. 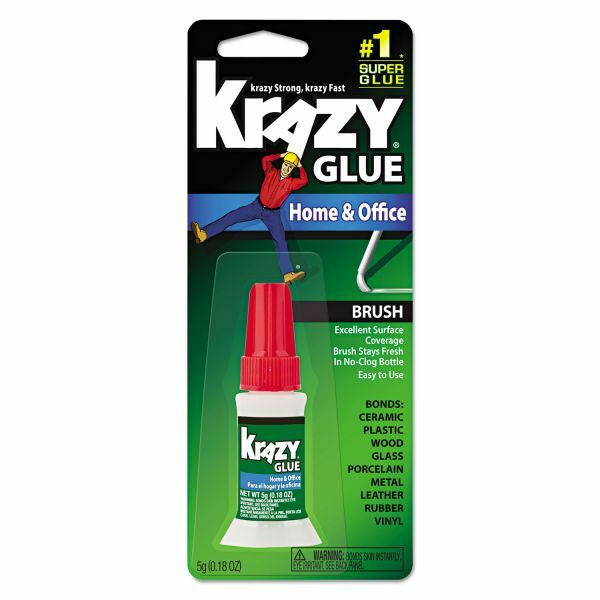 Krazy Glue Color Change formula dries clean, but goes on purple to make it easy to see where the instant glue has been applied. Glue delivers an instant bond that stays strong on wood, metal, ceramic, rubber, vinyl, leather and plastic.